Bailieborough News. April 8th 2019. Matthew J. Cullen. A Scroll filled with God the Father’s love is being carried the length of a Marathon in each of the 32 counties. In week 12, on Saturday next, April 13th, the Scroll is being carried through Cavan. Locals are invited to help carry the Scroll (it is like the Olympic Torch), walking, running or cycling, a short or long distance of this relay marathon. Other activities over the weekend include, a message on ‘God the Father’s Love’ by Fr. Seamus Heaney on Friday evening next, April 12th at 7.30pm in the Parish Centre (the old Parochial House beside St. Anne’s Church, Bailieborough). On Saturday morning, April 13th, there will be a ‘Prayer over County Cavan’ at Lough An Leagh at 9.30am, with the Cavan Relay Marathon—carrying the Scroll from Lough an Leagh to Cootehill Forest— beginning at 10.15am. Christians are invited to walk, run or cycle, taking a turn in carrying the Scroll along the route, whatever distance they choose. The Marathon ends with a ‘Worship Celebration’ in Cootehill Forest at 4.00pm, thanking God for all that He has done, is doing and will do in County Cavan. All welcome. Lotto results for 06-04-2019. Numbers Drawn; 6, 8, 11, 12. No Jackpot Winner, Lucky Dip (€25) Winners; Teresa Cooney; John Reilly; Maggie Owens; Kathleen Gormley. Next week’s Jackpot €3,700. Passion Sunday, April 13th: Reconciliation Service at 7.00pm. Holy Thursday, April 18th —Mass of the Lord’s Supper at 7.00pm in St. Annes. Good Friday, April 19th: Celebration of the Lord’s Passion at 3.00pm. Prayer around the Cross at 8.00pm. Holy Saturday, April 20th Easter Vigil: Holy Saturday at 9.00pm. Confessions will also take place in St. Anne’s on Holy Saturday from 12 noon to 3.00pm. Easter Sunday, April 21st: Mass of the Lord’s Resurrection at 10.00am. A Lough Derg ‘One Day Retreat’ will take place on Sunday, May 5th –organised by the St. Vincent DePaul Society. A bus will be leaving the Community Centre at 7.30am. To book a seat, please contact John at 086 055 4578 or Pat at 086 063 5856. The next get-together of the Bailieborough Social Day Group will take place on Wednesday, April 17th from 2.30pm to 4.30pm, in the Community Centre, Chapel Road. New members always welcome. Bailieborough Tidy Towns are holding their Annual ‘Spring Clean Day’ on Saturday next, April 13th. 2019. Meet at Market Sq. at 11am. Wear a high-vis jacket and bring a litter picker. Join the Tidy Town’s team and keep your road clean. Meeting on Friday next, April 12th in the Community Centre from 2.00pm to 4.00pm and fortnightly thereafter. Activity for this term will be ‘Flower Arranging’. New members welcome. The Bailieborough Poetry Festival 2019 will take place on the week-end of 3 – 5 October 2019. Details, guest poets etc are being finalized at the moment. The route for the 2019 Darkness into Light in Bailieborough on May 11th 2019 has been published and will start at approximately 4.15 am from the Community Centre on Chapel Road. Heading towards main street it will turn left onto New Road passing the back of Supervalu. At the Model School we will turn right on to Church Street following onto Main street and up to the Market Square. From there we head on to Rakeevan along the Institute Road passing Terra before turning right for the Kells Road. Turning right the route follows the Kells Road back into town where we will turn left onto the Virginia Road. At the Chapel car park we turn right towards the Chapel and turn right at the lake car park to finish up at the Community Centre. What better way to start the day? We look forward to seeing you on the day. Bridge Results for Tuesday, 19th March: First: Tony Carolan and Jimmy Stafford. Second: Betty Olwell and Rosaleen Mackey. Best Gross: Teresa O’ Reilly and Joy Jameson. Tuesday, 26th March: First: Patti Clarke and Rose Brennan. Second: Sean Kelleher and Mona McCormack. Best Gross: Ita Clarke and Kathy O’Sullivan. Third: Pauline McEvoy and Rosaleen Keegan. Tuesday, 2nd April: First: Helen Clarke and Kathleen McArdle. Second: Tom Moran and John McGahan. Best Gross: Teresa O’Reilly and Joy Jameson. Third: Sean Kelleher and Mona McCormack. ‘Through The Roof’ – Knockbride 2pm. Bailieborough 10:45am – Morning Prayer followed by tea and coffee. Monday 15th April: Lenten Bible Study 8:30-9:30pm and Late Evening Office @ The Rectory. Tuesday 16th April: Lenten Bible Study 8:30-9:30pm and Late Evening Office @ The Rectory. Lenten Bible Study 8:30-9:30pm and Late Evening Office @ The Rectory. Thursday 18th April: Maundy Thursday Service 7:30pm at Bailieborough Church. Easter Sunday 21st April: Bailieborough 6:15am – Easter Sunrise Service, followed by tea and coffee. Knockbride 10:30am – Easter Communion. Are you an adult thinking about returning to education or training? If so, an Adult Guidance Councillor will be available for drop-in queries, every second Thursday, the next one taking place at Bailieborough Library from 10.00am to 2.00pm on Thursday April 18th. Adult Oil Painting Classes in Trinity Hall, Virginia Road, Bailieborough on Tuesday, April 30th from 8.00pm to 9.30pm, for six weeks. All levels of painter’s welcome. Phone 087 636 5342 for more details. The second annual ‘Niamh Crosby Memorial Honda 50 Run’ in aid of Niamh’s family room in St James’s Hospital will take place on Easter Sunday, April 21st, commencing at 12noon, from Enagh House (located approx. 2kms from Virginia on the Virginia—Bailieborough Road). Registration will be from 10.00am and all bikes welcome to support this very worthy cause. Help make this year’s Run as good as last years or even better!! For further information, please contact: Peter at 087 0910 345 or Brendan, 087 225 8944. Easter bunnies, spring flowers, bees and of course chocolate eggs…we are celebrating Easter with a Colouring Competition with three categories: 3—5yr olds, 6—8yr olds and 9—12yr olds and we have a tasty prize for the winners!! Pop into Bailieborough Library, Cootehill Library or Cavan Library for your entry form or download one and print it at home. The closing date is Tuesday, April 16th. Children must be library members to enter the competition—joining your library is FREE and easy—just pop into any library in Cavan. First Aid Course on Saturday 27th April, from 9-4pm €80. First Aid Responder Course on Monday 13th of May and for 3 consecutive Mondays €220. Please contact Bailieborough Business Centre on 042- 96 94716 or 087– 6190040 for further information. will take place in St. Anne’s Church, Bailieborough on Sunday, April 14th (Passion Sunday) at 7.00pm. Confessions will be heard by the Priests of the Pastoral Area as part of a Scripture Service. Confessions will take place in St. Patrick’s Church, Shercock on Monday, April 15th at 7.00pm and in St. Annes, Bailieborough on Holy Saturday, April 20th from 12 noon to 3.00pm. The Hideout Fundraising Committee presents: ‘The Hideout Royle Family’ in aid of SOSAD, in the Hideout, The Vale on Easter Sunday, April 21st, commencing at 8.00pm. Starring: Mark Argue, Claire Lynch, Susan McCaul, Garreth Walsh, Gavin McElwaine, Madeline Callan and Mark Regan. Admission at the door is 10 and there will be Irish Music and Dancing after the ‘Main Event’!! All welcome. For Poetry Day Ireland on Thursday, May 2nd Bailieborough Creative Hub will turn Bailieborough into Ireland’s most poetic town. This FREE event will have poetry readings and performances by special guest poets in the Bailie Hotel (12pm) and Trisha’s Café at (3pm). There will be a poetry trail, open mike sessions, impromptu performances and FREE goodie bags with books sponsored by The Gallery Press. Local schools have been invited to take part in a poetry competition with the theme ‘Truth or Dare’ (this year’s Poetry Ireland theme) the winners will receive a prize and the opportunity to read or have their poem read at the closing event in the Library (7pm). This Bailieborough Creative Hub event is supported by Poetry Ireland and Cavan County Council. Baptism Dates in St. Annes for April, May, June, July and August 2019: The following are the available dates for Baptisms in St. Anne’s Church–April 20th (Easter Saturday, 9.00pm), April 28th (Sunday, 12.30pm), May 12th (Sunday,12.30pm), May 26th (Sunday, 12.30pm), June 8th (Saturday, 1.30pm), June 23rd, (Sunday 12.30pm), July 20th, (Saturday 1.30pm), July 28th (Sunday, 12.30pm), August 10th (Saturday, 1.30pm) and August 24th (Saturday, 1.30pm). 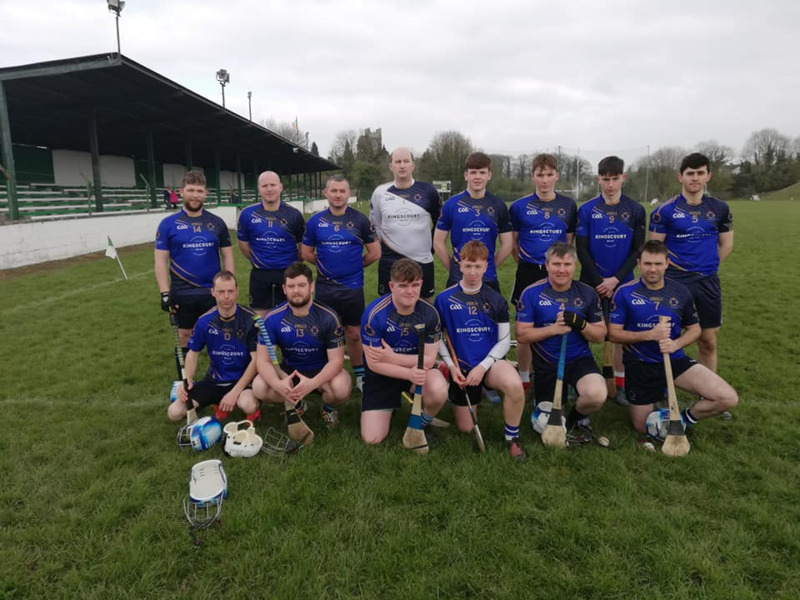 Congratulations to our Senior team as they won their first ever competitive game on Sunday when they went to, and beat, the hosts Cootehill in an entertaining contest 5-15 to 1-11. Next up is to host Mullahoran in Kingscourt on Sunday next with a place in the league final a possibility. The new expanded Tain leagues began on Monday last with our U13s going down to defeat to Latton. The next round is Monday 15th away to Carrick. Training for U13s on Friday at 7 at the Vale tbc. Our U15s make their competitive bow with a home fixture against St.Fechins from Louth in Kingscourt on Monday. The indoor season is now, weather permitting, finished as the lads get ready to show their skills outside. We place more emphasis on games over training as we try to get as many games as possible through the summer. Where we have games fixed there will be no training that week but that can change week to week so watch this space. We are scheduled to train this coming Friday at the Vale astro but if any games come up we will prioritise them. Table Quiz; date for your diary! 3rd May. Our now annual table quiz, which raises much needed funding will take place on Friday May 3rd in Nixys The Square Bar, Bailieborough at 9pm. This is a great social event with some good prizes and a good night out in support of the club. Thursday; Senior training at 8pm in Killann or Kingscourt Stars tbc. Friday; U7/9 from 6-7pm & U11 & U13 from 7-8pm at Bailieborough Celtic AFC at the Vale astro. €3 each please. Sunday; SHL v Mullahoran in Kingscourt 5pm. http://bailieborough.com/wp-content/uploads/2015/09/bborocomlogo2015-300x130.png 0 0 Lee McDonnell http://bailieborough.com/wp-content/uploads/2015/09/bborocomlogo2015-300x130.png Lee McDonnell2019-04-10 16:19:372019-04-10 16:19:43Bailieborough News. April 8th 2019. Matthew J. Cullen. Bailieborough News. March 25th 2019. Matthew J. Cullen. Thank You to all who took part over the past 10 weeks in the very successful Alpha Course. An average of 65—70 people attended each night and enjoyed the experience of discussing aspects of the Christian Faith with others especially with members of other Christian denominations in the local community. Fr. Michael Router and the Reverend Ian Horner would especially like to thank the group facilitators for their commitment and skill in leading the conversation and also the management and staff of the Bailie Hotel for their warmth and welcome. Details of a follow-up course in the Autumn, will be announced later. Lotto results for16-03-2019. Numbers Drawn; 13, 15, 29, 30. No Jackpot Winner, Lucky Dip (€25) Winners; Seán and Damien, Galbolie; Áine Liggan; Amelia O’Brien; Damien Clarke. Lotto results for 23-03-2019. Numbers Drawn; 1, 12, 19, 27. No Jackpot Winner, Lucky Dip (€25) Winners; Teresa Cooney; John Reilly; Drena Halpin; Mary Carolan Murray. Next week’s Jackpot €3,500. A fundraising ‘Coffee Morning’ in memory of Oliver Maguire will take place in the home of Noreen Maguire, Monaghanoose, Bailieborough on Saturday next, March 30th, from 12 noon onwards. All proceeds go to Bailieborough Cancer Fund and Cavan Palliative Care. Everyone welcome. Thank you to the Fox School of Dancing for providing a display of Irish Dancing at the end of the 10.00am Mass on St. Patrick’s Day. Over 35 children and teenagers from the school took part. Bailieborough Tidy Towns are holding their Annual ‘Spring Clean Day’ on Saturday, April 13th. 2019. Meet at Market Sq. at 11am. Wear a high-vis jacket and bring a litter picker. Join the Tidy Town’s team and keep your road clean. A massive “Thank You ” to each and every one, who supported the quiz night and gave spot prizes…. and last but by no means least quizmaster Stanley. We had a full house raising €1350 !!! Your support is really appreciated. Patsy Corcoran and Sean Kelleher. Second: Teresa O’Reilly and Joy Jameson. Best Gross: Rosaleen Keegan and Pauline McEvoy. Third: Vera Bell and Una Stafford. Kathleen McArdle and John McGahan. Second: Helen Clarke and Teresa O’Reilly. Best Gross: Patsy Corcoran and Tom Moran. Sunday 31st March: Bailieborough 10:45am – United All-Age Service. Our March outing will take place this Sunday, 31st to Dundalk docks. This area is nationally recognised for its importance for wintering birds and provides close access so even amateurs can identify birds easily. This is a great opportunity to see wintering waders before they return home to northern countries for the breeding season. If you haven’t been to an event before, or aren’t yet a member of Birdwatch, you are very welcome to attend. Meet at Dundalk docks at 11 a.m. There is parking at Lidl across the road. Dress warmly and bring a hot drink and a snack. Students from Bailieborough Community School are assisting on the 2019 Kilmore Diocesan Pilgrimage to Lourdes at the end of May. The BCS Parents Association is delighted to support these students on the Pilgrimage and raise the required funding. A ‘Virtual Cycle’ from Bailieborough to Lourdes will take place on Saturday next, March 30th outside Super Valu, Main St. Please come and encourage the students, parents and teachers on their virtual trip and donate to this very worthy cause. Are you an adult thinking about returning to education or training? If so, an Adult Guidance Councillor will be available for drop-in queries, every second Thursday, the next one taking place at Bailieborough Library from 10.00am to 2.00pm on Thursday, April 4th. Frank William Mansfield, Bexscourt View, Baileborough, Co Cavan. Tuesday March 19th Peacefully at Cavan General Hospital. Much loved husband and friend of Shirley (Charlotte). Sadly missed by his loving wife, daughter Carole, son-in-law Christopher, grandchildren Glenn and Eilish, brother Laurence, sister-in-law Gwenn, nephew David, relatives and friends. Funeral Service on Sunday, March 24th, at 12.00 noon in Lakelands Funeral Home and Crematorium, Dublin Road, Cavan, followed by Cremation. Deepest Sympathy is extended to wife, Shirley (Charlotte), daughter Carole, son-in-law Christopher, grandchildren Glenn and Eilish, brother Laurence, sister-in-law Gwenn, nephew David, relatives and friends on the death of Frank William Mansfield, Bexcourt View, Bailieborough, Co Cavan who passed away peacefully at Cavan General Hospital on Tuesday March 19th. Frank William’s Funeral Service took place on Sunday, March 24th , in Lakelands Funeral Home and Crematorium, Dublin Road, Cavan, followed by Cremation. 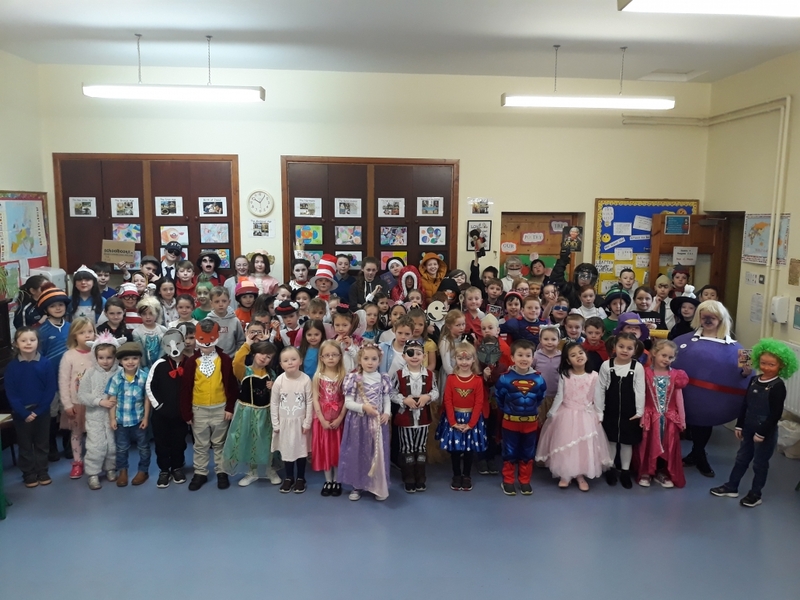 First Confession for the children in second class in St. Felim’s National School, The Vale will take place in St. Anne’s Church on Tuesday evening next, April 2nd at 7.30pm. A Cake Sale for the Bailieborough Community School students going to help on the Kilmore Diocesan Pilgrimage to Lourdes at the end of May will take place at St. Anne’s Church after the 7.00pm Mass on Saturday next, March 30th. Baptism Dates in St. Annes for April, May, June, July and August 2019: The following are the available dates for Baptisms in St. Anne’s Church–April 6th (Saturday, 1.30pm), April 20th (Saturday, 9.00pm), April 28th (Sunday, 12.30pm), May 12th (Sunday,12.30pm), May 26th (Sunday, 12.30pm), June 8th (Saturday, 1.30pm), June 23rd, (Sunday 12.30pm), July 20th, (Saturday 1.30pm), July 28th (Sunday, 12.30pm), August 10th (Saturday, 1.30pm) and August 24th (Saturday, 1.30pm). Under 7/9/11; Continued good work from both our groups on Fridays. With the clocks changing next week we hope to begin our outdoor season. More news next week. We MUST get all our players registered by the end of March as per GAA rules. It is imperative that all our players are registered with East Cavan Gaels before then. Official GAA Club; We have applied for, and been granted by Cavan County Board, official Club status. 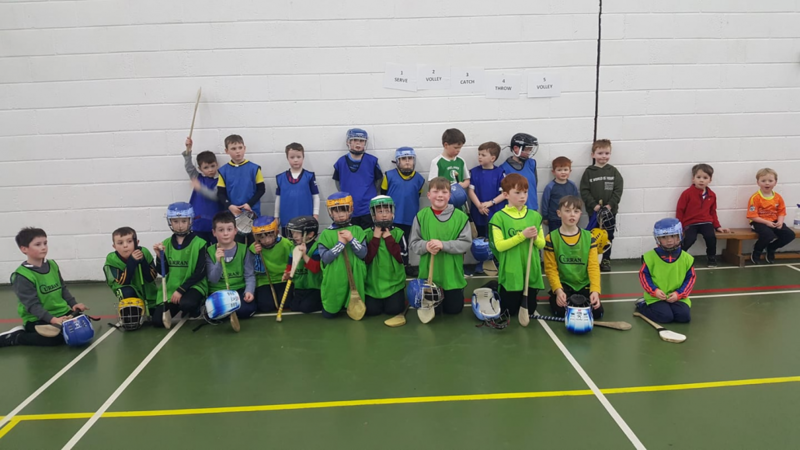 After ten years of hard work and the fact that we now field at all levels of hurling up to and including adult level we have been granted the status of a Club. A lot of work has gone into this project and there is still a lot more to do but we are very proud of this achievement. We will take our place at County Committee meetings along with the other 41 GAA units in Cavan. Our first meeting will be in early April and our first Official Club Committee meeting will take place shortly after. We thank all of those who came to our recent meeting to ratify the transition committee which will take us to the next stage of development. We have a significant amount of people and organisations to thank for helping us to get to this stage and we will formally recognise this at a later date most likely to mark our tenth anniversary which happens this summer. We are now at the end of the beginning………….now on to the next phase!! U13/15/17; Pre-season has been a bit stop/start but the games will be coming thick and fast from now on. Training will move outdoors this week in Killann on Monday at 6pm and will remain on Mondays from now on. 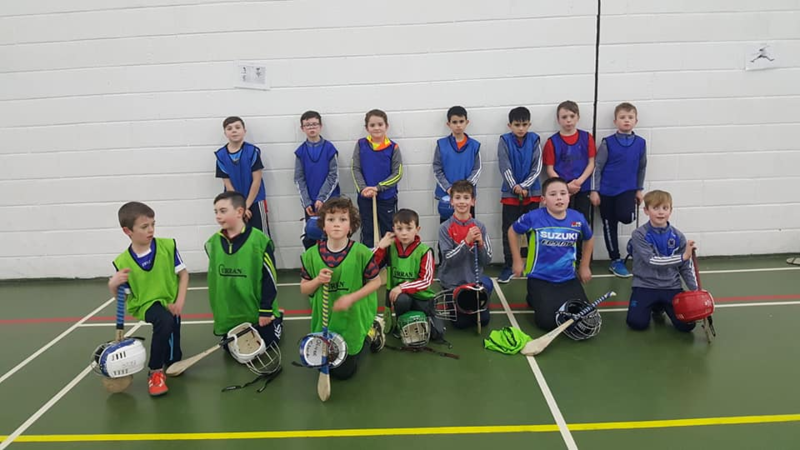 The new expanded Tain leagues, with 44 clubs and 66 teams from Ulster, Leinster and Connaught, for U13 and U15, begin with the U13s at home in Kingscourt v Latton on 1st April and the U15s at home to St. Fechins on 8th April. Best of luck to all. Senior training on this Thursday at 8 on the astro at the Vale. New players always very welcome. First round of the league is Sunday next 31st v Pearse Óg in Kingscourt tbc at 5pm. Thursday; Senior training at 8 at the Vale astro. Friday; U7/9 from 6-7pm and U11 from 7-8pm in the Community School Sports Hall Bailieborough. €3 each please. Sunday; SHL v Pearse Óg 5pm in Kingscourt. http://bailieborough.com/wp-content/uploads/2015/09/bborocomlogo2015-300x130.png 0 0 Lee McDonnell http://bailieborough.com/wp-content/uploads/2015/09/bborocomlogo2015-300x130.png Lee McDonnell2019-03-27 14:01:592019-03-27 14:02:05Bailieborough News. March 25th 2019. Matthew J. Cullen. Bailieborough News. March 11th 2019. Matthew J. Cullen. The Sacrament of Confirmation will be administered in St. Annes Church, Bailieborough on Saturday next, March 16th at 12 noon. Fr. Kevin Donohue P.P. V.F. will be the principal celebrant. A practice for all the young people receiving the Sacrament will take place on Thursday, March 14th at 6.00pm, in St. Annes Church. At least one parent/guardian is asked to accompany their child and, if they are available and living close by, their sponsor is welcome to come along as well. is hosting a talk by Aogán Ó Fearghaíl, (Ex-President of the GAA) on Gaelic Sunday, the GAA 1918 Rebellion, when 100,000 GAA players faced down the British Empire. The talk will take place in the Bailieborough Development Association Centre, Shercock Road, Bailieborough on Tuesday 26th March at 8.00 pm. All welcome, refreshments served. Lotto results for 09-03-2019. Numbers Drawn; 02, 03, 11, 24. No Jackpot Winner, Lucky Dip (€25) Winners; Pauline Clarke; Marie Hall; Conall and Sorcha Shankey Smith; Nathan Gaskin. Next week’s Jackpot €3,300. Best Club and Best Window. There are currently tickets on sale in the local shops and business’s to help defray the costs of running the annual St. Patrick’s Day Parade. The tickets are €2 each or 3 for €5 available in local businesses. St Patrick’s Day Parade Festival Draw: Prizes: First Prize: Weekend break for 2 people in the 4 star Castlecourt Hotel, Westport. Second Prize: 4 tickets to Westlife in July. Third Prize: 2 Tickets to Rod Stewart 4th December in Dublin. Your support would be greatly appreciated and the draw will be held in the Hotel Bailie on Monday night next, March 18th at 9.00pm. Congratulations to Ellie Flanagan—a student at Bailieborough Community School—who won the Irish Heart Award for her project ” This is me: A story behind a smile” at the PE Expo Awards, held in D.C.U. last week. Ellie also won CPR training for the school to the value of €2000. ‘Who Do You Think You Are’?? Are you interested in finding out about researching your family tree? A FREE genealogy course facilitated by CMETB will start at the Library on Wednesday, March 13TH from 2pm-4pm. Course will last six weeks and places are limited. Phone 042 9665779 to secure your place! On Saturday 16th March between 11am and 4pm we are holding a Property Recovery Day at Cavan Garda Station. We will be showcasing property recovered in searches and crime operations over the past two years. Property will include power tools, gardening equipment, jewellery and various other items. If you have been the victim of a burglary or theft in the past two years and your property is still outstanding, please take this opportunity to call into Cavan station to see if any of the property on display is yours. Thank you to all who supported the ‘Christmas Day Swim’ Draw, which raised a total of €3,585 and will be a great help towards the activities of the group. Special mention to Brendan O’Reilly and his helpers, who organised the Fund Raiser event. A bus will leave from the Community Centre on Thursday, March 14th at 5.30pm for ‘Evening Tea’ and then onto the ‘Frolics’ in Ballyjamesduff. Seamus Casey from Navan Stroke Support will give a talk in St. Mary’s Hall, Tierworker, tomorrow night, March 14th at 8.00pm. All welcome. Bailieboro Celtic AFC are starting an under 13s Girls team. We are looking for players born between 2006 – 2011. Training takes place on Saturday’s from 3 – 4pm at the Vale Grounds. If you are interested contact Owen on 087 2772596. So why not come down and show your skills and have some fun. Tom Mc Guinness Corlurgan , Bailieborough, Co. Cavan, Died 11th March 2019, peacefully, at Cavan General Hospital. Deeply regretted by his loving wife Rose his children Brian, Martin and Ann, grandchildren, great-grandchildren and extended family and friends.May his gentle Soul Rest In PeaceReposing at his residence Tuesday from 4pm until 10pm and again Wednesday from 12 noon until removal at 5.30pm to arrive at St Anne’s Church, Bailieborough, at 6pm. Funeral Mass Thursday at 11am, with burial afterwards in St Anne’s Cemetery. Deepest Sympathy is extended to son Paul, daughter Mella, grandchildren, Nathan and Christopher and extended family and friends on the death of James (Jimmy) Brady, Acorn Road, Dundrum, Dublin and formerly of Bailieborough, Co. Cavan who passed away peacefully at St. Vincent’s Hospital Dublin, on Tuesday, March 5th. Jimmy was predeceased by his wife Anne (Dolly). Jimmy’s Funeral Mass took place in St. Anne’s Church, Bailieborough on Thursday, March 7th with burial afterwards in St. Anne’s Cemetery. Wednesday 13th March: ALPHA Course – Bailie Hotel 8.00-9:30pm. Sunday 17th March: Bailieborough 10:45am – Morning Prayer and Sunday Club followed by tea and coffee. Bailieborough Tidy Towns planted 310 beech hedging on the Kingscourt Road last week, with tremendous help from Pat Argue and Nicholas Callaghan . Many thanks to all helpers. Great work. Mutt Mitt dispensers are now in our town. Tidy Towns erected four dispensers around the town in January last. No excuse now for a dog fouling the pavements!! ‘Spanish with Lydia’ takes place at the Bailieborough Business Centre, Shercock Road (beside the playground). New lessons for adults and school children of all ages, starting soon. Places available on Tuesdays and Wednesdays. For more information, please contact Lydia at 087 741 4735. We are pleased and very excited to announce that Bailieborough Creative Hub will be representing Link Credit Union Ltd in this year’s St. Patrick’s Day Parades in Kingscourt, Bailieborough and Mullagh. We look forward to supporting them. Masses during Lent on Tuesdays and Thursdays will be at 8.00am. A gathering of talents with music from Néamh O’Donoghue and Brendan Melia and the magical sculptures of the Celtic Fairy Collection, will take place ‘Downstairs @ Nixys’, The Square Bar, on Friday, March 22nd, commencing at 9.00pm. Free admission. Assisted by Cavan County Council Arts Office. Baptism Dates in St. Annes for March, April and May 2019: The following are the available dates for Baptisms in St. Anne’s Church–March 24th (Sunday, 12.30pm), April 6th (Saturday, 1.30pm), April 20th (Saturday, 9.00pm), April 28th (Sunday, 12.30pm), My 12th (Sunday,12.30pm) and May 26th (Sunday, 12.30pm). Bailieborough Shamrocks are launching a goalkeeping academy for juvenile boys and girls. We have a proud tradition of producing excellent goalkeepers down through the years. We hope that our new academy will provide a platform for our juvenile kids to achieve great things as goalkeepers. We hope to start the goalkeeping coaching in April. We encourage all managers of juvenile boys and girls from U12’s and upwards to put their goalkeepers forward for this. If you or your child is a goalkeeper and not currently playing with a club, we’d love to hear from you. Due to the number of coaches helping out, we may not be able to take everyone who expresses an interest, but we will certainly do our best. Anyone interested should contact John Woods on 086-3691213. The coaches involved so far, along with John, are Mark Argue, Conor Gilsenan, Mickey Clinch, Stephen Monaghan and Alan O’ Mara. If anyone would like to help out with the coaching, all help will be greatly appreciated. Under 7/9/11; Numbers continuing to increase each week with our Bailieborough sessions. Thanks to all our new helpers. We can’t do it without you and look forward to your continuing support. No training this week due to the holiday weekend. Dundalk blitzes are now finished. Thanks to all who made the trip on each of the six weeks we attended. We are now in the planning stage for the outdoor season whenever the Spring finally arrives! Registration; We MUST get all our players registered by the end of March as per GAA rules. 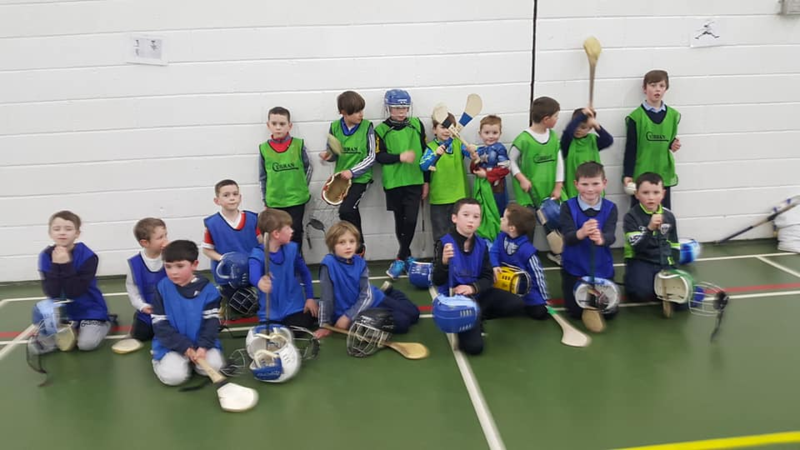 We have some exciting announcements to make in early April but it is imperative that all our players are registered with East Cavan Gaels before then. U13/15/17; Club training Tuesday 6.45-8pm in Kingscourt harps astro pitch. The weather hasn’t helped at all lately and the forecasts not great but we will continue to prepare the best we can. Tain (Ulster) U13 and new Tain U15 leagues both begin in April. Club Senior; Senior training on this Thursday at 8 on the astro at the Vale. New players always very welcome. First challenge games coming up with start of the league the end of March. Above; Colin Gargan receives his award. 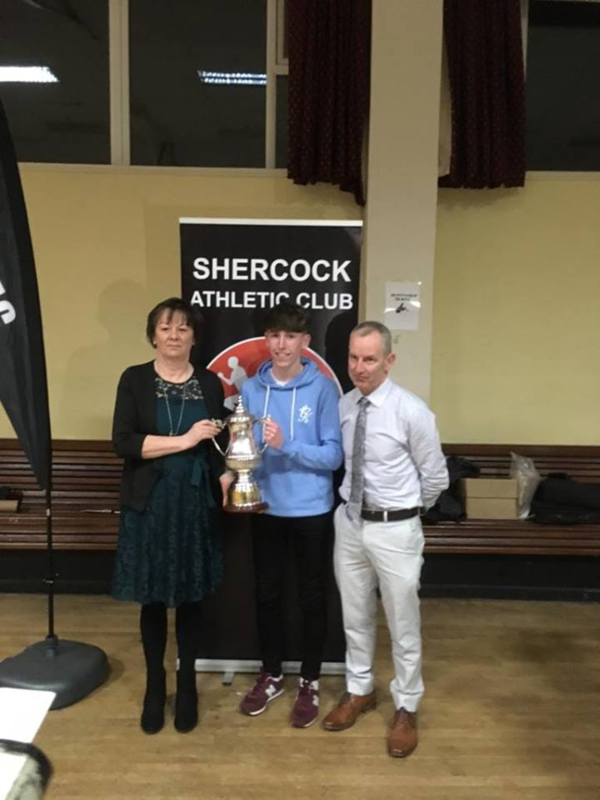 Colin Gargan; Huge congratulations to Colin Gargan on being selected “Athlete of the year 2018” for Shercock AC. 5 All Ireland titles in 2018 for this talented all round athlete whom we are very proud to also call a hurler. How long we hold on to him? Who knows?, but, with luck and the hard work that he continues to do he has a very bright future in all his chosen sports but obviously as a top athlete. Congratulations to Colin from all of us at East Cavan Gaels. Tuesday; U13/15/17 training at Kingscourt Harps astro. 6.45-8pm. Friday; No training this week. Enjoy the holiday weekend! http://bailieborough.com/wp-content/uploads/2015/09/bborocomlogo2015-300x130.png 0 0 Lee McDonnell http://bailieborough.com/wp-content/uploads/2015/09/bborocomlogo2015-300x130.png Lee McDonnell2019-03-13 14:51:262019-03-13 14:51:29Bailieborough News. March 11th 2019. Matthew J. Cullen. Bailieborough News. March 4th 2019. Matthew J. Cullen. The Bailieboro Drama Group present the award winning play, ‘Smile Handsome’ by Liz O’Hanlon and Millrace Drama Group present ‘Thirst’,in the Bailie Hotel on Friday next, 8th March at 8pm and Saturday, 9th March in Mullagh Hall at 8pm. Admission €10 – Pay at the door. All welcome. Lotto results for 02-03-2019. Numbers Drawn; 2, 16, 23, 25. No Jackpot Winner, Lucky Dip (€25) Winners; Mary Tully; John Reilly; Liz Rogers; Terence Smith. Next week’s Jackpot €3,200. Your support would be greatly appreciated and the draw will be held in the Hotel Bailie on Monday night, March 18th at 9.00pm. Would you like to rekindle/learn some basic Irish? FREE ‘Basic Irish for Beginners’, will start at the Library on Tuesday, March 12th from 10.30am-12.30pm and will continue for 6 weeks. Booking essential as class is limited. Phone 042 9665779 for further information. The Bailieborough Social Day Group will meet again on Wednesday, March 6th from 2.30pm to 4.30pm, in the Community Centre, Chapel Road. We need some more people to join the group for lots of activities—refreshments, chat, bingo, music, song and dance, day trips, etc…, every second Wednesday in the Community Centre. First: Sean Kelleher and Patsy Corcoran. Second: Kathy O’Sullivan and Ita Clarke. Best Gross: Teresa O’Reilly and Rosaleen Mackey. Results for Tuesday, 26th February: First: Anne Brady and Mona McCormack. Second: Kathy O’Sullivan and Ita Clarke. Best Gross: Maresa Liggan and Stella McElherron. Third: Sean Kelleher and Patsy Corcoran. Bailieboro Celtic AFC are starting an under 13s Girls team. We are looking for players born between 2006 – 2011. Training will start next Saturday from 3 – 4pm at the Vale Grounds. If you are interested contact Owen on 087 2772596. So why not come down and show your skills and have some fun. Wednesday 6th March: ALPHA Course – Bailie Hotel 8.00 -9:30pm. Friday 8th March: FOCUS Youth Group 8.00-10:30pm in Trinity Hall. Sunday 10th March: Bailieborough 10:45am – Morning Prayer followed by tea and coffee. Well done to the Bailieborough Tidy Towns and helpers who planted 200 whips / trees on the bank beside the Tesco road on Wednesday morning last. Many hands make light work. Hopefully everyone can enjoy this colourful bank in the Summer and Autumn. The Sacrament of Confirmation will be administered in St. Annes Church, Bailieborough on Saturday, March 16th at 12 noon. Fr. Kevin Donohue P.P. V.F. will be the principal celebrant. A practice for all the young people receiving the Sacrament will take place on Thursday, March 14th at 6.00pm, in St. Annes Church. At least one parent/guardian is asked to accompany their child and, if they are available and living close by, their sponsor is welcome to come along as well. Lent: Masses during Lent on Tuesdays and Thursdays will be at 8.00am. The next meeting of the Bailieborough Book Club takes place on Thursday, March 7th from 6.30 – 7.30 PM. All are welcome. Gerald (Ger) Clarke, Rathborne Court, Ashtown, Dublin and late of Carnaveagh, Bailieborough, Co. Cavan. 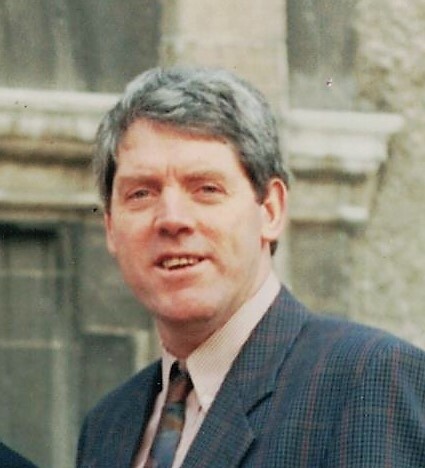 Died 27th February unexpectedly but peacefully at Connolly Hospital, Dublin surrounded by his family and friends. Sadly missed by his loving husband Marcelo, his mother and father Anne and Vincent and his extended family and friends. May he Rest In Peace Reposing at Clarke’s funeral home, Bailieborough this Friday evening from 3pm until removal at 6.20pm to arrive at St Ultan’s Church, Killinkere at 7pm. ( Eircode A82 AP92 ) Funeral Mass Saturday at 11am with burial afterwards in St. Ultan’s Cemetery, Killinkere. Family flowers only please. Donations in lieu, if desired, to Pieta House c/o Clarkes funeral home, Bailieborough. James (Jimmy) Brady, Acorn Road, Dundrum, Dublin. Died 5th March 2019, peacefully at St. Vincent’s Hospital Dublin. Predeceased by his wife Anne (Dolly). Sadly missed by his son Paul, daughter Mella, grandchildren Nathan and Christopher and extended family and friends.May he Rest In Peace Reposing at Clarke’s Funeral Home Bailieborough Wednesday from 6pm until 8pm. Funeral Thursday to arrive at St. Anne’s Church Bailieborough (Eircode A82 VY38) for Funeral Mass at 11am with burial afterwards in St. Anne’s Cemetery. http://bailieborough.com/wp-content/uploads/2015/09/bborocomlogo2015-300x130.png 0 0 Lee McDonnell http://bailieborough.com/wp-content/uploads/2015/09/bborocomlogo2015-300x130.png Lee McDonnell2019-03-06 14:35:382019-03-06 14:35:41Bailieborough News. March 4th 2019. Matthew J. Cullen. Bailieborough News. February 25th 2019. Matthew J. Cullen. Lotto results for 23-02-2019. Numbers Drawn; 1, 17, 25, 26. No Jackpot Winner, Lucky Dip (€25) Winners; Aaron Cooney; Sean Clarke; Seán Murray; Martin Clarke. Next week’s Jackpot €3,100. Lakelands Arch Club is on this Wednesday 27th February, from 7-9pm in the BDA Centre, Shercock Rd, Bailieborough. Hope to see you all there! Contact or call into, the Parish Office during it’s public opening hours to request a booking form. The usual opening hours are: Monday, Tuesday and Thursday: 12pm—1.30pm and Friday, 3.30pm to 5.00pm. The contact number for the office is 042 9665117 and the email is stannesbailieboro@gmail.com Outside of opening hours, you can email your request for a booking form or text 087 4407990. The booking form will need to include insurance and Child Safeguarding (if applicable) details for your group. The charge for the use of the Centre is €10 per hour including set-up and clean up time. For stand-alone events this charge is payable at the time of booking. For a long term booking, an arrangement can be made with the Parish Office to pay after an agreed period of time. If paying by cheque, please make it out to Bailieborough Church No 2 A/C. The user is liable for all damages to the hall incurred during the period of use. The Bailieborough Church Area Finance Committee has the right to refuse any booking. Knockbride Bazaar will take place in Tunnyduff Hall on Friday 1st March at 9 p.m. Good selection of prizes and everyone welcome. Great Win for Cavan Senior Ladies as Andrea O’ Reilly scores a great personal tally. Huge congratulations to local girl, Andrea O’ Reilly who kicked 1-03 on Saturday last, to help the Cavan Senior Ladies beat Clare in Killinkere, on a final score of Cavan 2-11, Clare 2-08. Fantastic stuff! Deepest Sympathy is extended to the family, relatives and friends of Hamilton (Hammie) Pringle, Institute Road, Bailieborough, Co Cavan who passed away on Sunday, 17th February 2019 in his 92nd year, peacefully in Esker Lodge Nursing Home, Cavan. Hammie was predeceased by his brothers, Johnny and Freddie and he will be sadly missed by his wife of 66 years Bella, sons Albert, Ivor, Raymond and Kenneth, daughters, Isobel Anderson and Barbara Sullivan, daughters-in-law Sandra, Ada, Mary and Rachel, sons-in-law James and Enda, grandchildren, great grandchildren, nephew, niece and extended family and friends. Hammie’ Funeral Service took place in Bailieborough Parish Church on Wednesday, February 20th, with burial afterwards in the adjoining graveyard. The Annual Women’s World Day of Prayer will be held in Corglass Presbyterian Church on Friday next, March 1st. at 8.00pm. The Speaker will be the Reverend Tanya Woods. Everyone welcome. The Club are starting a girls’ team from Saturday next, 2nd of March. Training will take place at the Vale Grounds on Saturdays from 3-4pm for girls born between 2006 to 2011. All welcome. Wednesday 27th February: ALPHA Course – Bailie Hotel 8.00 -9:30pm. Sunday 3rd March: Bailieborough 10:45am – Holy Communion and Sunday Club followed by tea and coffee. A Vintage Tractor and Honda Run in aid of St. Brigid’s N.S, Tunnyduff will take place on Sunday next, 3rd March commencing at Tunnyduff Hall, Bailieborough. Registration will take place at the hall from 12-1, with the Run starting at 1.30pm. There will also be a raffle on the day. All welcome and all support greatly appreciated. Cavan Institute are holding an ‘Open Day’ on Thursday, February 28th from 9.30am to 3.00pm, at the Cathedral Road Campus. This is an ideal opportunity for prospective applicants to sample the wide range of courses and facilities on offer, to chat to staff, find out about the Further Education Sector and discuss the many options available to school leavers and adult learners. Enrolments are now being taken for St. Brigid’s N.S. Tunnyduff for September 2019. Please telephone the school at 042 9660368 for an enrolment pack. Closing date for enrolment is this Friday, 1st March 2019. The following are the available dates for Baptisms in St. Anne’s Church–March 3rd (Sunday, 12.30pm), March 24th (Sunday, 12.30pm), April 6th (Saturday, 1.30pm), April 20th (Saturday, 9.00pm), April 28th (Sunday, 12.30pm), My 12th (Sunday,12.30pm) and May 26th (Sunday, 12.30pm). Sunday U7s in Dundalk. Great craic! 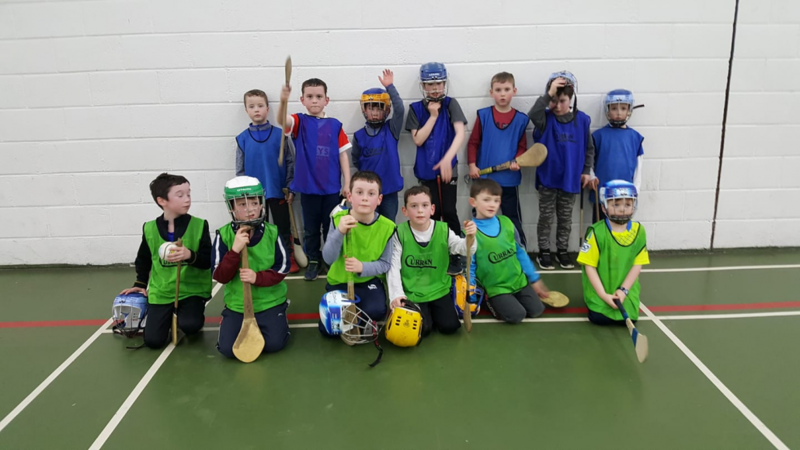 Good training on Friday and the U7s had their final blitz in Dundalk on Sunday. Training again this Friday and the U9s have their final blitz in Dundalk on Sunday next. Registration continues until we get all registered. Player registration MUST be done this week. Club training will be on Tuesdays for the next month to facilitate local football clubs and our lads at county training on Mondays. Training will be at Kingscourt Harps astro pitch and we thank them for the use of their facilities. Training will return to hurling day of Monday at the end of March. U15/17 with the County squad are to be in Breffni 3G for 7pm start on Monday. Senior training on this Thursday at 8 on the astro at the Vale. New players always very welcome. Jack Barry made his starting debut for Cavan in midfield v Longford in the NHL on Sunday. Cian McEntee will make his debut soon! The next round is away to Fermanagh in Lisbellaw on Sunday at 1pm. 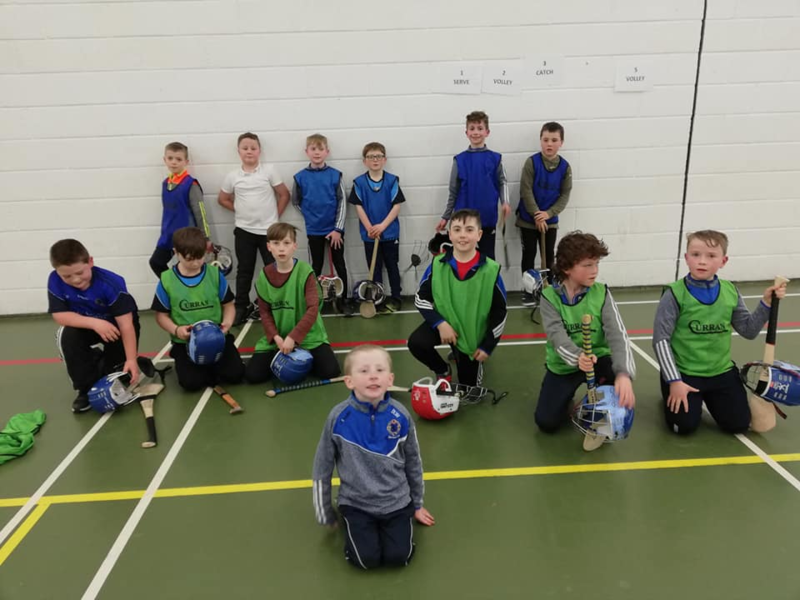 Friday; Indoor training in the Community School Sports Hall, Bailieborough. U7/9 from 6-7pm and U11 from 7-8pm. €3 each and the water bottle please. Sunday; U9s in DKIT blitz Dundalk 10-12pm. Cavan NHL away to Fermanagh, Lisbellaw 1pm. http://bailieborough.com/wp-content/uploads/2015/09/bborocomlogo2015-300x130.png 0 0 Lee McDonnell http://bailieborough.com/wp-content/uploads/2015/09/bborocomlogo2015-300x130.png Lee McDonnell2019-02-27 13:02:532019-02-27 13:02:57Bailieborough News. February 25th 2019. Matthew J. Cullen. Bailieborough News. February 18th 2019. Matthew J. Cullen. Fresh from receiving the Anglo Celt ‘Sportsperson of the Year’ award last week, Leanne Kiernan got back to the hustle and bustle of playing for West Ham Utd on Sunday last. Leanne scored a hat-trick, on her return to the starting 11, in the 8—1 defeat of Huddersfield Town Ladies—which was the pinnacle of a fantastic afternoon at Rush Green Stadium with Kate Longhurst, Alisha Lehmann, Jane Ross, Rosie Kmita and Brianna Visalli also getting on the scoresheet to put the Irons into the quarter-finals of the SSE Women’s FA Cup. West Ham manager, Matt Beard said after the game, “I’m really pleased for Leanne. She had her injury problems over the last few months so for her to get the start today was terrific, and she’s taken her chance.” Well done Leanne and hoping that the rest of the season goes well for you. Lotto results for 16-02-2019. Numbers Drawn; 2, 7, 8, 9. No Jackpot Winner, Lucky Dip (€25) Winners; Liz Sheanon; Sean Clarke; Melissa Soden; Paddy Murray. Next week’s Jackpot €3,000. The Bailieborough Social Day Group will meet again on Wednesday, February 20th from 2.30pm to 4.30pm, in the Community Centre, Chapel Road. We need some more people to join the group for lots of activities—refreshments, chat, bingo, music, song and dance, day trips, etc…, every second Wednesday in the Community Centre. The ‘Christmas Day Swim’ Draw, will take place on the day. Knockbride Bazaar will take place in Tunnyduff Hall on Friday 22nd February and Friday 1st March at 9 p.m. each night. Good selection of prizes and everyone welcome. Deepest Sympathy is extended to husband Nicholas, daughter Rosemarie, son-in-law Vincent, sister Chrissie, grandchildren Dylan and Laura, sister-in-law Ann, brother-in-law Vincent, nephews, nieces and extended family, neighbours and friends on the death of Pauline Smith (nee Clarke) Killann, Shercock and formerly Shancrock, Druminespic, Bailieborough, Co. Cavan, who passed away on Tuesday, 5th February 2019, peacefully at Cavan General Hospital. Pauline’s Funeral Mass took place in St. Anne’s Church, Bailieborough on Thursday, February 7th, with burial afterwards in St. Annes Cemetery. The Annual Women’s World Day of Prayer will be held in Corglass Presbyterian Church on Friday, March 1st. The Speaker will be the Reverend Tanya Woods. Everyone welcome. Deepest Sympathy is extended to sons Martin, Patrick and Paul, daughter Catherine, brother Pat, sisters Mary Dolan and Annie Tierney, daughters-in-law, son-in-law, grandchildren, sisters-in-law, brother-in-law, nephews, nieces, extended family, neighbours and friends on the death of Micheal Nulty, Derrydamph, Bailieborough , Co. Cavan, who passed away on Wednesday, 13th February 2019, peacefully in his 93rd year at his daughter and son-in-law, Catherine and Pat Byrne residence Dunaree Lane, Kingscourt, Co. Cavan. Micheal was predeceased by his wife Annie, sisters Bridget and Josie, brothers, John, Gerard and Sean. Micheal’s Funeral Mass took place in St. Brigid’s Church, Knockbride East on Friday, February 15th with burial afterwards in the adjoining cemetery. Bridge Results for Tuesday,5th February, First: Tom Moran and John McGahan. Second: Rosaleen Mackey and Sean Kelleher. Best Gross: Teresa O’ Reilly and Joy Jameson. Third: Helen Clarke and Kathleen McArdle. Tuesday, 12th February: First: Vera Bell and Mona McCormack. Second: Sean Kelleher and Jimmy Stafford. Best Gross: Tom Moran and Rose Brennan. Third: Malcolm Cross and Betsy McDermott. Micheal Nulty, Derrydamph, Bailieborough , Co. Cavan, died 13th February 2019, peacefully in his 93rd year at his daughter and son-in-law Catherine and Pat Byrne residence Dunaree Lane, Kingscourt, Co. Cavan. Pre deceased by his wife Annie, sisters Bridget and Josie brothers John Gerard and Sean. Deeply regretted by his sons Martin, Patrick and Paul, daughter Catherine, brother Pat, sisters Mary Dolan and Annie Tierney, daughters-in-law, son-in-law, grandchildren, sisters-in-law, brother-in-law, nephews, nieces, extended family, neighbours and friends. May he Rest In Peace Reposing at his daughter & son-in-law residence Dunaree Lane Kingscourt today Wednesday from 4pm until 10pm again Thursday from 12 noon until 4pm. Family time thereafter. Removal Thursday evening to arrive at St. Brigid’s Church, Knockbride East at 7pm. Funeral Mass Friday at 11am with burial afterwards in adjoining cemetery. Deepest Sympathy is extended to sister Rose, niece Mairead Kierans, Mairead’s husband Joe, family and friends on the death of Peggy McCabe, Curkish, Bailieborough, Co. Cavan, who passed away on Friday, 15th February 2019, suddenly, at her residence. Peggy’s Funeral Mass took place in St. Anne’s Church, Bailieborough, on Monday, February 18th with burial afterwards in St. Anne’s Cemetery. Peggy Mc Cabe Curkish, Bailieborough, Co. Cavan, died 15th February 2019, suddenly, at her residence. Sadly missed by her sister Rose, niece Mairead Kierans, Mairead’s husband Joe and family. May her gentle Soul Rest In PeaceReposing at Clarke’s funeral home, Bailieborough, Sunday from 4pm until 7pm. Funeral Monday morning to arrive at St. Anne’s Church, Bailieborough, for Funeral Mass at 11 o’clock. Burial afterwards in St. Anne’s Cemetery. 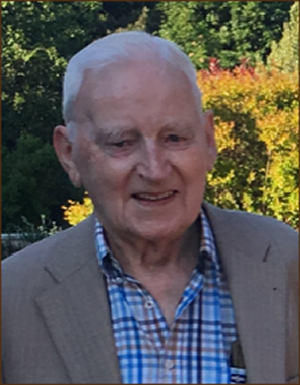 Hamilton (Hammie) Pringle, Institute Road, Bailieborough, Co Cavan died 17th February 2019 in his 92nd year peacefully in the excellent care of Esker Lodge Nursing Home, Cavan. Predeceased by his brothers Johnny and Freddie. Sadly missed by his wife of 66 years Bella, sons Albert, Ivor, Raymond And Keneth, daughters Isobel Anderson and Barbara Sullivan, daughters-in-law Sandra, Ada, Mary and Rachel, sons-in-law James and Enda, grandchildren, great grandchildren, nephew, niece and extended family and friends. “The Day Thou Gavest Lord is Ended“ Reposing at his residence Tuesday from 2pm until 9pm. Funeral Wednesday to arrive at Bailieborough Parish Church for funeral service at 2pm. Burial afterwards in adjoining graveyard. Friday 22nd February: FOCUS Youth Group, 8pm–10:30pm Trinity Hall. Sunday 24th February: Bailieborough 10:45am – All-Age Service followed by tea and coffee. Knockbride 12noon – Morning Prayer and Sunday Club. Wednesday 27th February: ALPHA Course – Bailie Hotel 8-9:30pm. A Vintage Tractor and Honda Run in aid of St. Brigid’s N.S, Tunnyduff will take place on Sunday 3rd March commencing at Tunnyduff Hall, Bailieborough. Closing date for enrolment is 1st March 2019. Under 7/9/11; Strong numbers at our registration night on Friday. Good training with both groups also. New text groups will be set up this week for all groups especially those moving up a year. 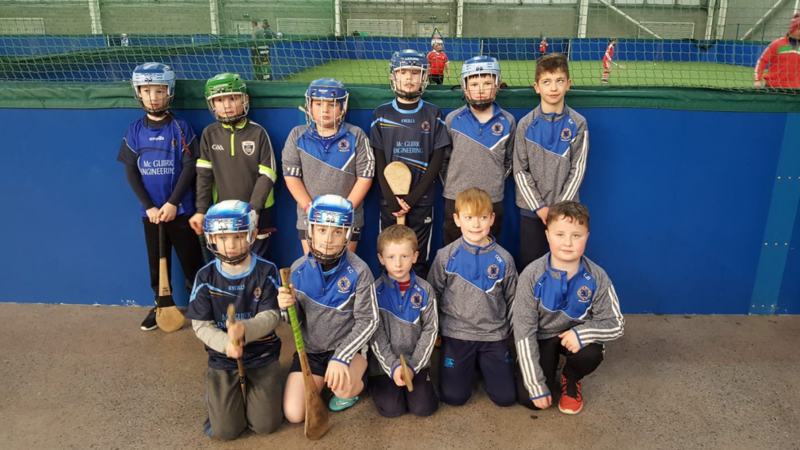 The U11s had a strong outing in Dundalk on Sunday with games v Monaghan, Armagh, Down and Louth clubs. Our lads were well able to hold their own. 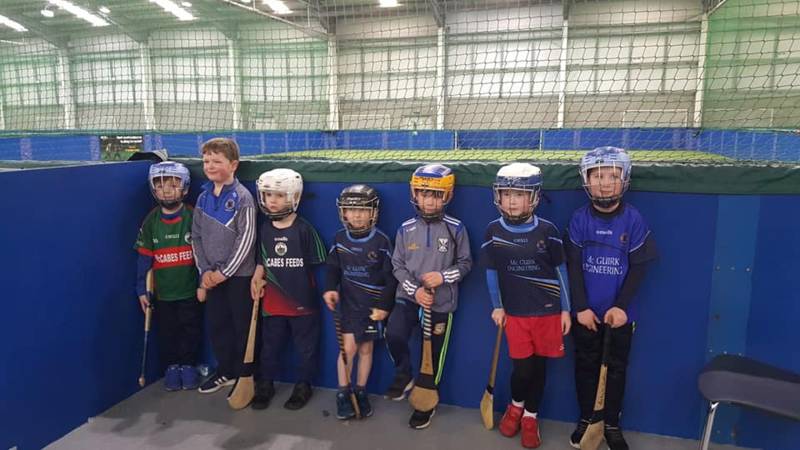 Our U7s begin the final round of blitzes on Sunday next 10-12pm. Club training will be on Tuesdays for the next month to facilitate local football clubs and our lads at county training on Mondays. Training will be at Kingscourt Harps astro pitch and we thank them for the use of their facilities. Training will return to hurling day of Monday at the end of March. U17 with the County squad are to be in Breffni 3G for 7pm start on Monday. U15s with county squad are playing Longford on Friday afternoon (mid-term). Club Senior; Senior training on this Thursday at 8 on the astro at the Vale. New players always very welcome. Cavan Senior; Congratulations to our own Jack Barry who made his Senior inter county debut on Sunday last in the NHL game v Sligo. Another small piece of history for the club, our first county senior! Well done Jack! Cavan play Longford in the NHL in Breffni Park on Sunday at 12.30 before the Senior NFL football match v Roscommon. Monday; County U17 at Breffni 3G 7pm. Friday; Cavan U15 v Longford U15 Breffni 3G. 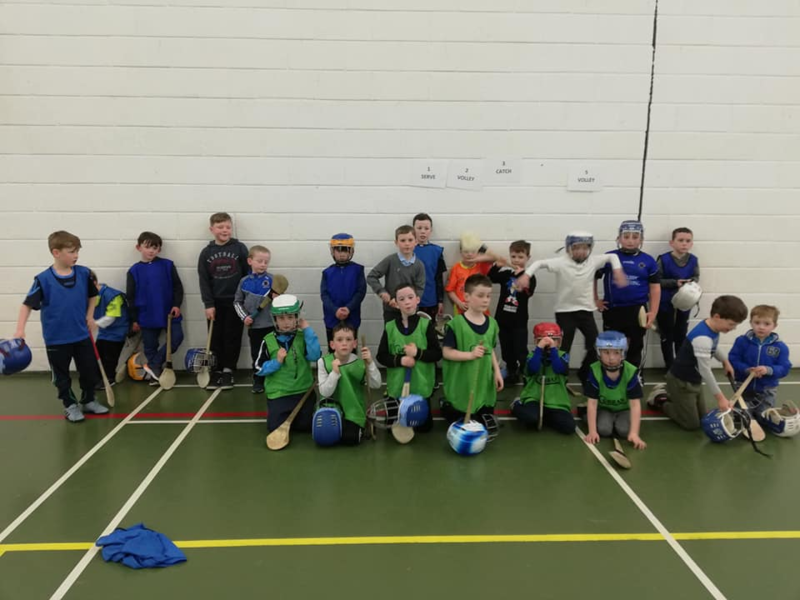 Indoor training in the Community School Sports Hall, Bailieborough. U7/9 from 6-7pm and U11 from 7-8pm. €3 each and the water bottle please. Sunday; U7s in DKIT blitz Dundalk 10-12pm. Cavan v Longford NHL rd 3 at 12.30pm. Aughawillan Drama Troupe presents “Cash On Delivery” a hilarious comedy written by award winning playwright Michael Cooney. This comedy will be performed for your entertainment on 1 extra night February 24th at 8.30pm sharp inAughawillan Hall. Like us on Aughawillan Drama Facebook and listen out for us on Shannonside Radio. Tickets €10.00 please come early to avoid disappointment. Looking forward to seeing you there. http://bailieborough.com/wp-content/uploads/2015/09/bborocomlogo2015-300x130.png 0 0 Lee McDonnell http://bailieborough.com/wp-content/uploads/2015/09/bborocomlogo2015-300x130.png Lee McDonnell2019-02-20 11:03:232019-02-20 11:03:26Bailieborough News. February 18th 2019. Matthew J. Cullen. Bailieborough News. February 11th 2019. Matthew J. Cullen. Congratulations and well done to local girl, Leanne Kiernan on winning the overall Anglo Celt ‘Sportsperson of the Year Award’ 2018, in the Cavan Crystal Hotel on Friday evening last. Leanne plays on the Senior Irish International Team and plays professionally for West Ham United Women. She is currently coming back from a hamstring injury that has kept her out of the West Ham side over the last while. We all wish Leanne all the best for the future and many congratulations on winning this very prestigious award. Lotto results for 09-02-2019. Numbers Drawn; 16, 25, 27, 29. No Jackpot Winner, Lucky Dip (€25) Winners; Patricia Larkin; Martin Duff; Patricia Ennis; Pat Gaffney. Next week’s Jackpot €2,900. St Patrick’s Day Parade Festival Draw: Prizes: First Prize: Weekend break for 2 people in the 4 ⭐️⭐️⭐️⭐️Castlecourt Hotel, Westport. The Bailieborough Social Day Group will meet again on Wednesday, February 20th from 2.30pm to 4.30pm, in the Community Centre, Chapel Road. We need some more people to join the group for lots of activities—refreshments, chat, bingo, music, song and dance, day trips, etc…, every second Wednesday in the Community Centre. Deepest Sympathy is extended to son David, daughter-in-law Marina, grandchildren Stewart, Matthew, Mark, Daniel and Luke, on the death of David’s parents’ Joseph and Louise Waller (née Stewart), Mullaghpeak, Emyvale, Monaghan, who passed away on Friday, January 25th following a tragic accident. Deepest sympathy is also extended to Joe’s brothers, Russell, Robert and Leslie, his sisters Helen Smith, Violet Wilson, Ivy Gibson and Maggie Moore and to Louie’s brothers, Cecil and Norman Stewart and the entire family circle and friends. Joe and Louie’s Funeral Service took place on Tuesday, 29th January 2019, in St. Salvator’s Parish Church, Glaslough, Co. Monaghan, with interment afterwards in the Caledon Road Graveyard. The event will be taking place at 9pm on Friday evening next, 15th, February 2019, downstairs @ Nixy’s, The Square Bar, Market Square, Bailieborough. All welcome. Deepest Sympathy is extended to wife Sally and children, Liam, Geraldine, Kieran and Emma, daughter-in-law Deirdre, sons-in-law Hugh and James, Elaine, grandchildren Hannah, Joseph, Sadhbh, Aidan, Orlaith and Sarah Sue, brothers John and Joe, sisters Ann and Margaret, brother-in-law Eugene, nephews, nieces, relatives and friends on the death of Tom SharkeyFeede, Mountpleasant, Dundalk, Louth and formerly of Waterloo, Grousehall. Bailieborough, who passed away on Monday, January 29th, 2019. Tom’s Funeral Mass took place in St. Mary’s Church, Ravensdale, Dundalk, on Saturday, February 2nd with burial afterwards in Calvary Cemetery, Ravensdale. The children receiving First Communion from St. Anne’s N.S., St. Felim’s N.S. an the Model N.S. will be taking part in the 10.00am Mass next Sunday, February 17th. Deepest Sympathy is extended to family, Robert, Niall, Ger (O’Donnell), Miriam, Yvonne (Malone), daughter-in-law, sons-in-law, brothers Francis, Malachy and Liam, sisters Anita, Maeve, Aileen, Kathleen, Bernadette, Joan and Rosaleen, nieces, nephews, grandchildren, great grandchildren, family and friends on the death of Gerry Clarke, Mossbrook, 37 Grange Wood, Rathfarnham, Dublin 16 and formerly of Main St, Bailieborough, Co Cavan who passed away peacefully at the Beacon Hospital, surrounded by his loving family on Monday, 28th January 2019. Gerry was predeceased by his loving wife Mary and his brother T.M. Gerry’s Funeral Mass took place in the Divine Word Church, Marley Grange, Rathfarnham on Thursday, January 31st with burial afterwards in Kilmashogue Cemetery, Edmonstown. Bailieborough 10:45am – Morning Prayer and Sunday Club followed by tea and coffee. Knockbride 12noon – All-Age Service. Men’s Shed, a shed is starting up in Tullyabrick, Shercock. This is the area where two famous men lived, John Keenan, uilleann pipe maker. He also played the pipes. The other was Rev Randal McCallum, famous for his book “The Highlands of Cavan”. Maybe another famous man will come from the shed. The following are the available dates for Baptisms in St. Anne’s Church–February 16th (Saturday, 1.30pm), March 3rd (Sunday, 12.30pm), March 24th (Sunday, 12.30pm), April 6th (Saturday, 1.30pm), April 20th (Saturday, 9.00pm), April 28th (Sunday, 12.30pm), My 12th (Sunday,12.30pm) and May 26th (Sunday, 12.30pm). A good start to our new joint session for all in the region on Friday last in Bailieborough. 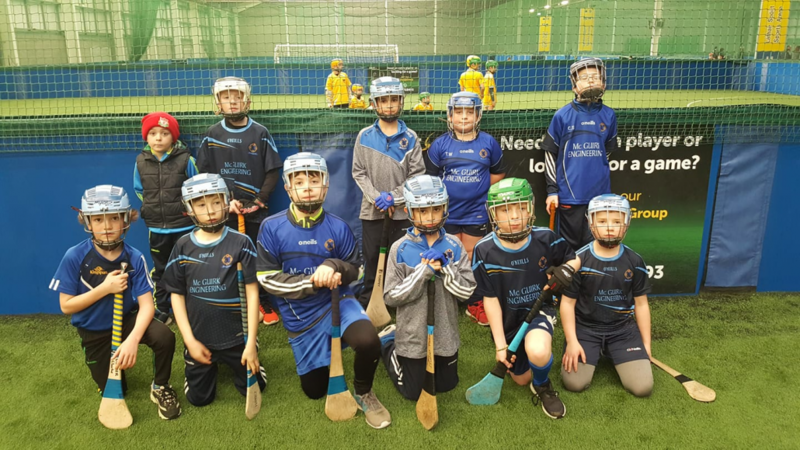 The U9s had a good outing in Dundalk on Sunday showing some good skill along the way. The U11s head to Dundalk this coming Sunday at 10. Registration for all this Friday at training. U13/15/17; Club training will be on Tuesdays for the next month to facilitate local football clubs and our lads at county training on Mondays. Training will be at Kingscourt Harps astro pitch and we thank them for the use of their facilities. Training will return to hurling day of Monday at the end of March. U15/17 with the County or Colleges squads are to be in Breffni 3G for 7pm start on Monday. Senior training on Sundays at 11 on the astro at the Vale. New players always very welcome. Monday; County U15/17 at Breffni 3G 7pm. Tuesday; U13/15/17 training at Kingscourt Harp astro. 6.45-8pm. Sunday; U11s in DKIT blitz Dundalk 10-12pm. Senior training at The Vale 11-12pm. Sligo V Cavan NHL round 2 at 2pm. are on a high rehearsing for the sinfully hilarious play ‘Cash On Delivery’ written by award winning playwright Michael Cooney. This comedy will be performed for your entertainment on the 14th,15th,16th and 17th of February in Aughawillan Hall at 8.30pm sharp. Tickets by booking only on 087-6486804. Watch and listen out for us in your local notes, newspapers, Shannonside Radio and like us on Aughawillan Drama facebook. Looking forward to seeing you there. http://bailieborough.com/wp-content/uploads/2015/09/bborocomlogo2015-300x130.png 0 0 Lee McDonnell http://bailieborough.com/wp-content/uploads/2015/09/bborocomlogo2015-300x130.png Lee McDonnell2019-02-13 12:59:202019-02-13 12:59:23Bailieborough News. February 11th 2019. Matthew J. Cullen. Bailieborough News. February 4th 2019. Matthew J. Cullen. Funding of €50,000 has been granted for safety improvement works on the Virginia Road, Bailieborough—which is a treacherous part of the R178 road. There are two Churches and a secondary school on this short stretch of road, which many drivers approach at high speed. 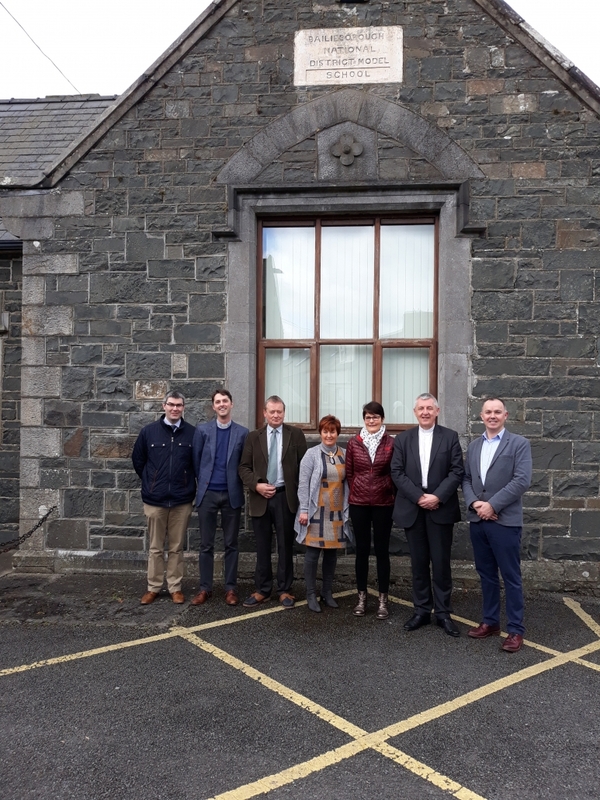 Cavan County Council understood the concerns of the residents, including St. Anne’s Church, and submitted the application for road safety measures. We are delighted that this application was successful, receiving the second highest allocation of funding in the county. Thank You to Councillor Sarah O’Reilly, Cavan County Council, the Road Safety Authority, An Garda Siochana and the residents of the Virginia Road for working hard on this project. Lotto results for 02-02-2019. Numbers Drawn; 6, 21, 25, 26. No Jackpot Winner, Lucky Dip (€25) Winners; Sean Keane; Ollie Lynch; Marie and Owen Fitzpatrick; Margo Gormley. Next week’s Jackpot €2,800. Chairman .. Peter McCabe, Secretary… Liam Maguire, Treasurer… Julie O Brien, Assistant Treasurer… Helen Eagleton. Committee members Joanne Finnegan and Patricia Quinn. Congratulations to the incoming committee. VERY IMPORTANT MESSAGE: Can all clubs and businesses who have Defibrillators, please make sure that they are serviced and any new updates applied. The Bailieborough Social Day Group will meet again on Wednesday, February 6th from 2.30pm to 4.30pm, in the Community Centre, Chapel Road. We need some more people to join the group for lots of activities—refreshments, chat, bingo, music, song and dance, day trips, etc…, every second Wednesday in the Community Centre. Anyone who has not returned their ‘Christmas Day Swim Cards’, please bring them in, on the day. Deepest Sympathy is extended to sons John, Hugh, Martin and Charlie, daughters Eileen, Margaret, Rosann, Kathleen, Bernadette, Lizzy, Patricia, Pauline and Evelyn, sisters Josephine Farrelly (Crossmakeelan) and Patsy Nulty (Manchester), daughters-in-law, sons-in-law, grandchildren, great-grandchildren, great-great-grandchildren, nephews, nieces, and extended family, neighbours and friends of Frances Smith (née Nulty), Crossmakeelan, Shercock, Co. Cavan who passed away peacefully at her daughter Pauline’s residence (Leiter, Bailieborough) on Saturday, January 19th, 2019. Frances was predeceased by her husband James, sons Plunkett, Ned and Peter and daughter Anne. Frances’s Funeral Mass took place in St. Anne’s Church, Bailieborough on Tuesday, January 22nd with burial afterwards in St. Anne’s Cemetery. Bridge Results for Tuesday, January 29th: First: Tom Moran and John McGahan. Second: Maresa Liggan and Marie McNicholas. Best Gross: Pauline McEvoy and Rosaleen Keegan. The candidates for Confirmation in St. Anne’s N.S. and St. Felim’s N.S. will take part in the 7.00pm, Vigil Mass next Saturday evening, February 9th. Deepest Sympathy is extended to the three children, Katelyn, Emma and Cian, family, relatives and friends of Caroline Martin, 51 Ardkille Place, Ballinagh, Cavan / Ballybay, Monaghan and formerly from Crocknahattina, Bailieborough, who passed away suddenly, at her home on Monday, January 21st 2019. Predeceased by her parents William and Margaret Martin, Lisgoran, Ballybay, Co. Monaghan, Caroline will be sadly missed by her loved ones and all who knew her. Caroline’s Funeral Service was held on Wednesday, 23rd January 2019, in the First Ballybay Presbyterian Church, Co. Monaghan, with interment afterwards in the adjoining churchyard. Sunday 10th, February: Bailieborough 10:45am – Morning Prayer followed by tea and coffee. This month’s ‘Dancing for Pleasure’ will take place on Saturday evening next, February 9th in the Community Centre, Chapel Road. Dancing is from 9.30pm to 12.30am. Music will be provided by Robert Brown and all are most welcome to attend. Under 11s training starts on the 9th February from 6:15pm to 7:15pm. All welcome. Kids born in 2008. Please Contact Damien Cadden on 0892403190. The event will be taking place at 9pm on Friday 15th, February 2019, downstairs @ Nixy’s, The Square Bar, Market Square, Bailieborough. All welcome. Blood Transfusion Service: The mobile unit of the Irish Blood Transfusion Service will be in attendance at the Bailieborough Community School on Tuesday, February 19th from 5.00pm to 8.30pm. All blood donors are requested to attend and new donors will be especially welcome. Pauline Smith (nee Clarke) Killann, Shercock and formerly Shancrock, Druminespic, Bailieborough, Co. Cavan, died 5th February 2019, peacefully at Cavan General Hospital. Deeply regretted by her loving husband Nicholas, daughter Rosemarie, son-in-law Vincent, sister Chrissie, grandchildren Dylan and Laura, sister-in-law Ann, brother-in-law Vincent, nephews, nieces and extended family, neighbours and friends.May She Rest in Peace Reposing at Clarke’s Funeral Home Wednesday from 5pm until removal at 7.30pm to arrive at St. Anne’s Church, Bailieborough at 8pm. Funeral Mass Thursday at 11am with burial afterwards in St. Anne’s Cemetery. House private please. Family flowers only please, donations in lieu, if desired, to Cavan Monaghan Palliative Care c/o Clarke’s Funeral Home, Bailieborough. Under 7/9/11; We lost both training sessions and the Dundalk blitz to the frosty conditions! Some changes ahead of next week. The Kingscourt group will now amalgamate with the Bailieborough group on Friday from this week onwards. This will give them more age specific coaching and better all round games. U9s make second trip to Dundalk this coming Sunday. We will put registration back a week and register all on Friday 15th in Bailieborough. U13/15/17; U13s training on Monday on the astroturf at the Vale on Monday 14th 7-8pm. €2 each and bring water bottle. Any U15/17 with the County or Colleges squad are to be in Breffni 3G for 7pm start. The rest of lads to the Vale. Club Senior; The Seniors had their first session of the year at The Vale on Sunday last. Spring league in Monaghan coming up soon. New players always very welcome. Monday; U13/15/17 training at the Vale 7-8pm. €2 each please. County U15/17 at Breffni 3G 7pm. Sunday; U9s in DKIT blitz Dundalk 10-12pm. Senior training at The Vale 11-12pm. ‘Cash on Delivery’: BOOKINGS ONLY For “Cash On Delivery”. Aughawillan Drama Troupe are excited to present a comedy “Cash On Delivery” by Michael Cooney. This intoxicating comedy is directed by Brian Dolan in Aughawillan Hall on the 14th,15, 16th and 17th of February at 8.30 sharp. Please book early to avoid disappointment. Guaranteed to deliver a brilliant night’s entertainment! http://bailieborough.com/wp-content/uploads/2015/09/bborocomlogo2015-300x130.png 0 0 Lee McDonnell http://bailieborough.com/wp-content/uploads/2015/09/bborocomlogo2015-300x130.png Lee McDonnell2019-02-06 13:20:002019-02-06 13:20:04Bailieborough News. February 4th 2019. Matthew J. Cullen.